This update will allow players to complete four PopSugar quests, with three linking users out to PopSugar's celebrity, fashion and food sites. Glu Mobile partnered with PopSugar to bring new content to its Kendall & Kylie lifestyle simulation game. Kendall & Kylie allows users to create their own characters, who will become social media stars with the help of Kendall and Kylie Jenner. This update will allow players who have reached at least level eight to complete four PopSugar quests, with three linking them out to PopSugar’s celebrity, fashion and food sites. The first quest sees Kendall and Kylie ask players if they’d like to be involved in a PopSugar site takeover. 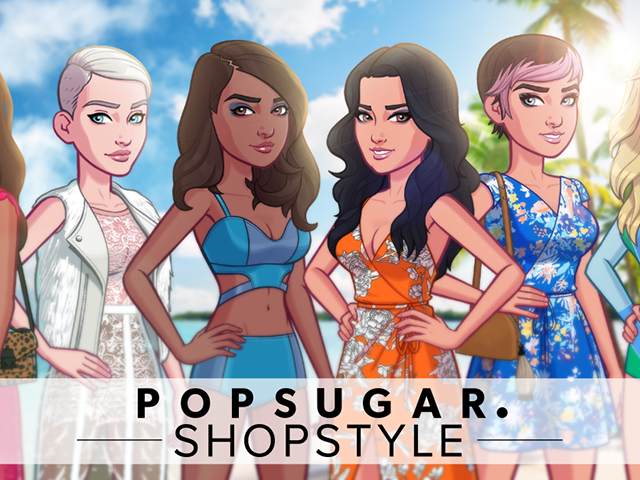 For completing this first quest, players will receive PopSugar and ShopStyle selfie covers for use within the game. Elsewhere, this update includes 20 different ShopStyle clothing and accessory items from designers like Cynthia Rowley and Nicole Miller. Users can purchase items for their avatars in the game’s store, though some may be locked to specific experience point levels. When users try on a ShopStyle item within the game, they’ll have the option to visit the ShopStyle app to view the real-world version of the item. Glu strives to partner with brands that add value to the experiences of players. That’s why I am thrilled to welcome ShopStyle to Kendall & Kylie, offering the first mobile commerce experience for that title. Additionally, the game’s new PopSugar quests offer players more of the lifestyle content they know and love. Kendall & Kylie is available to download for free on the iTunes App Store and Google Play.